Rustico style painted planter from Spain. Great addition to any garden or lanai. Rustico style painted planter from Spain. Great addition to any garden or lanai. 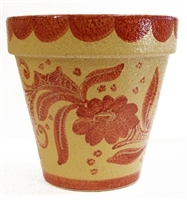 Rustico style painted planter from Spain. Great addition to any garden or lanai. Rustico style painted planter from Spain. Great addition to your garden or lanai.